This is a tough time to be Darrell Waltrip. The NASCAR Hall of Famer turned NASCAR On FOX analyst has been a target for naysayers and detractors throughout his storied career. But recently, the hatred has ramped-up to a level that far exceeds the limits of good taste. Last week, unconfirmed reports surfaced that the 72-year old Waltrip is contemplating retirement at season’s end, closing out a career that has encompassed nearly half a century and has enriched our sport in ways too numerous to count. From the day he first landed in the NASCAR garage in 1972, the Owensboro, KY native has been a rabble-rouser. He has consistently spoken his mind, straight from the heart and without a filter, calling things like he sees them with little regard for political correctness or social decorum. 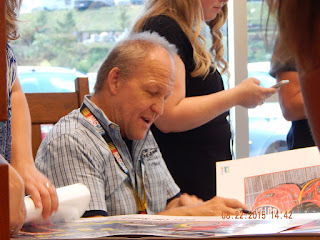 Virtually upon arrival, he called out the biggest stars of the day – Petty, Pearson and Allison – earning the nickname “Jaws” after getting under tough-guy Cale Yarborough’s skin just one time too many. 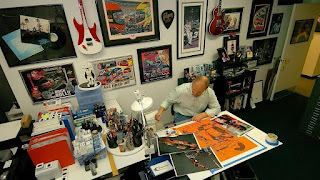 He employed psychological warfare in an era when most competitors could not spell psychological warfare, and aroused the passions of NASCAR Nation like no one ever had before, and few (if any) have done since. He pushed buttons – intentionally at times – and pushed this sport’s fan base to levels of passion it had never before experienced. He’s still doing that today, in his own unique and unapologetic style. Nobody has heard more boos in his lifetime than Waltrip, and no one has embraced the heel’s role more willingly, or with more passion. Rather than cower from the catcalls, he once famously challenged his detractors to meet him in the Kmart parking lot after the race for a good old-fashioned punch out. Who else can combine a sponsor plug with an invitation to fight? Waltrip has been polarizing from Day One, and God bless him for that. In an era when people spend most of their time looking for reasons to be offended, Waltrip continues to bulldoze his way forward, stepping on toes when necessary and telling us exactly what he thinks, 100% of the time. Based on his track record – on 40-plus years of being consistently and unfailingly himself -- what exactly do the haters expect from Waltrip today? Do they really want a politically correct, Pollyanna Waltrip? A man devoid of opinions, who says wonderful things about everyone and never toes the line of controversy? If that’s what you want, you’ve got the wrong guy, my friends. Unfortunately, just as they did at the end of his competitive career, the haters and naysayers refuse to allow Waltrip to leave with the grace, dignity and respect he deserves. Social media is filled with hateful, “throw the bum out” commentary, authored by people who were still in diapers when Waltrip was laying waste to his on-track competition and raising the bar of expectation for what a NASCAR champion should be. Many drivers walk away from the sport when their time behind the wheel is done. 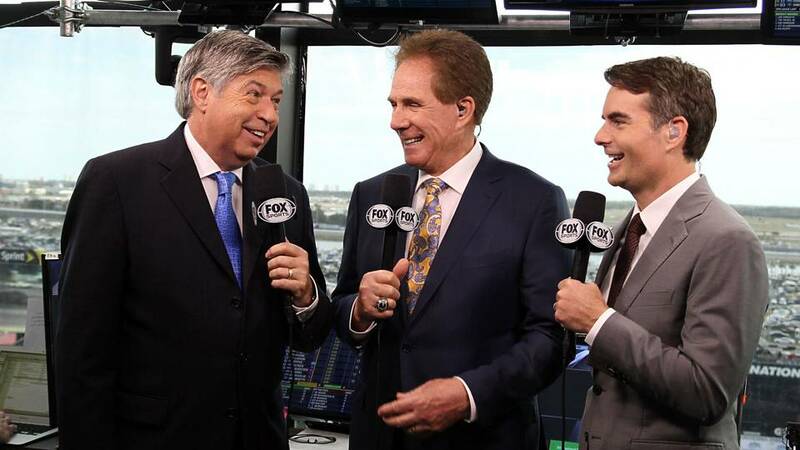 Waltrip never walked away, choosing instead to continue to contribute as a television analyst. 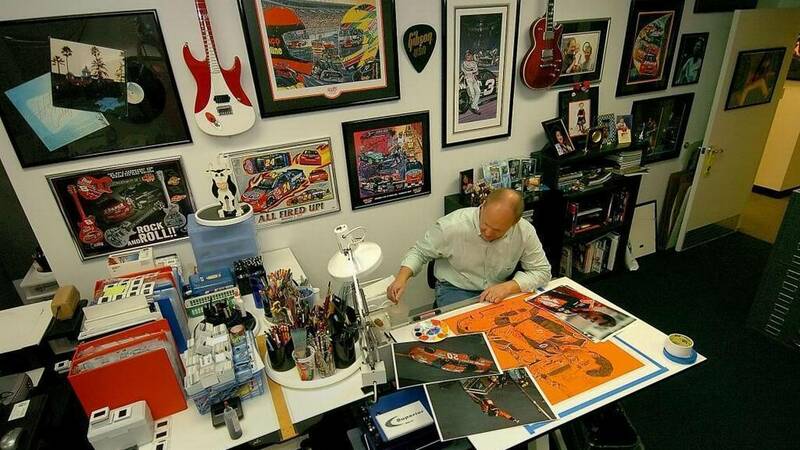 His perspective is one-of-a-kind, combining the behind-the-wheel savvy of Jeff Gordon and Dale Earnhardt, Jr. with a “been there, done that” long view of the sport that no one else can offer. Somewhere along the line, it became cool to be cruel. Social media has made a cottage industry out of hurtfulness, insults and disrespect, to the point where now, even a respected institution like the Associated Press confuses character assassination with insightful commentary. It’s a sad state of affairs, and Waltrip deserves better. 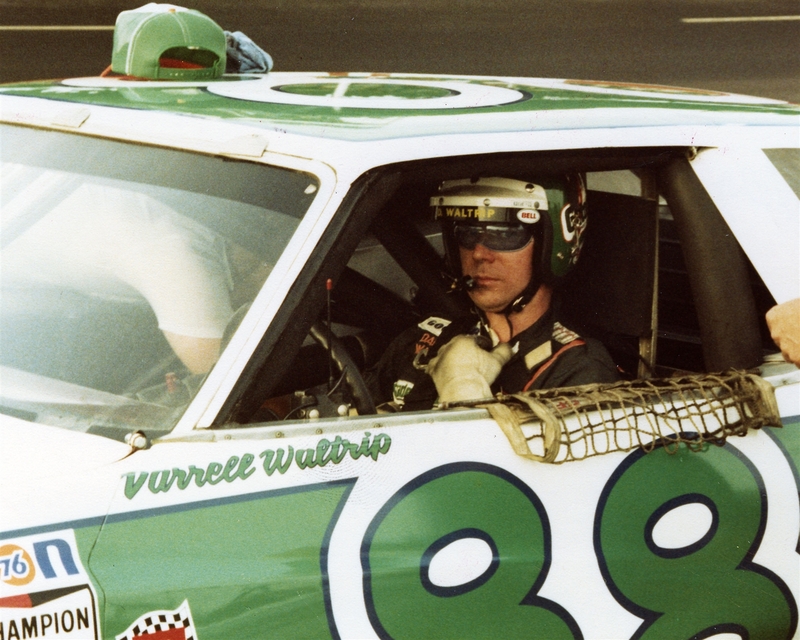 As a NASCAR Hall of Famer with three premier series championships and Daytona 500, Southern 500 and Coca-Cola 600 trophies among his 84 premier series wins, Waltrip has earned the right to choose his own exit strategy. He has earned the right to say goodbye at the time of his choosing and on his terms; without being hounded out the door by a pack of rabid wolves, hungry for their Hot Take Headline and their self-serving pound of flesh. People who criticize Waltrip's "shtick" don't understand. DW is not playing a character on television, he is being himself. That "Boogity Boogity Boogity" enthusiasm at the start of every race is neither contrived nor created. It is Darrell, being Darrell. 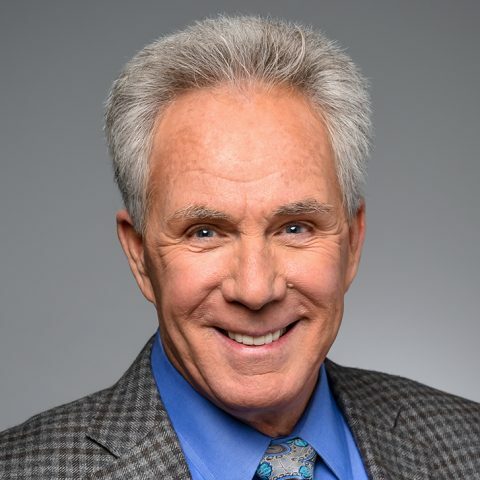 You don’t have to like Darrell Waltrip. You don’t even have to agree with Darrell Waltrip. It’s OK if he gets under your skin from time to time. As a matter of fact, it’s part of his job. The philosopher Aristotle once said, "There is only one way to avoid criticism; do nothing, say nothing and be nothing." 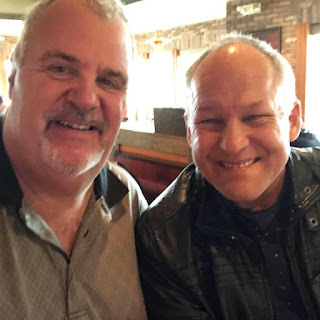 After spending every Sunday afternoon in our living rooms for the last 20-odd years -- delivering an unapologetic mix of opinion, commentary and analysis... doing, saying and being -- Mother Teresa would rub you the wrong way, every once in a while. During the glory days of Monday Night Football, people disliked Howard Cosell; criticizing his shtick and bemoaning his sometimes self-possessed commentary. They lambasted Dandy Don Meredith for being unpolished and “too country;” eventually running both men out of the broadcast booth in the mid-80s. Monday Night Football has never been the same since. 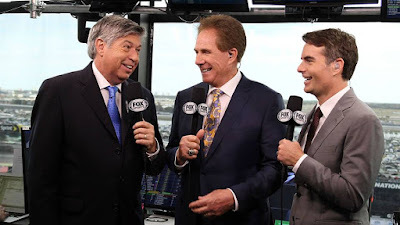 Without Waltrip, NASCAR would long ago have been overrun by those who consider insightful Victory Lane commentary to be “thanking the boys back at the shop,” along with God, Gatorade and Goodyear. Without Waltrip, there would be no Kevin Harvick, no Brad Keselowski and no Kyle Busch; all of whom have built on his “call it like you see it” foundation to become outspoken, opinionated and insightful spokesmen for our sport. Waltrip blazed trails and opened doors for those who came behind him – both on and off the race track – and for that, he deserves our thanks and our respect. 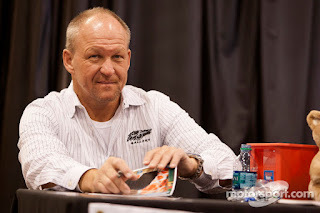 If DW is truly retiring at season’s end, he deserves to be embraced and applauded for his lifelong efforts to improve and add color to our sport. The recent spate of “here’s your hat, what’s your hurry” character assassination says more about the assassins than it does about Waltrip. 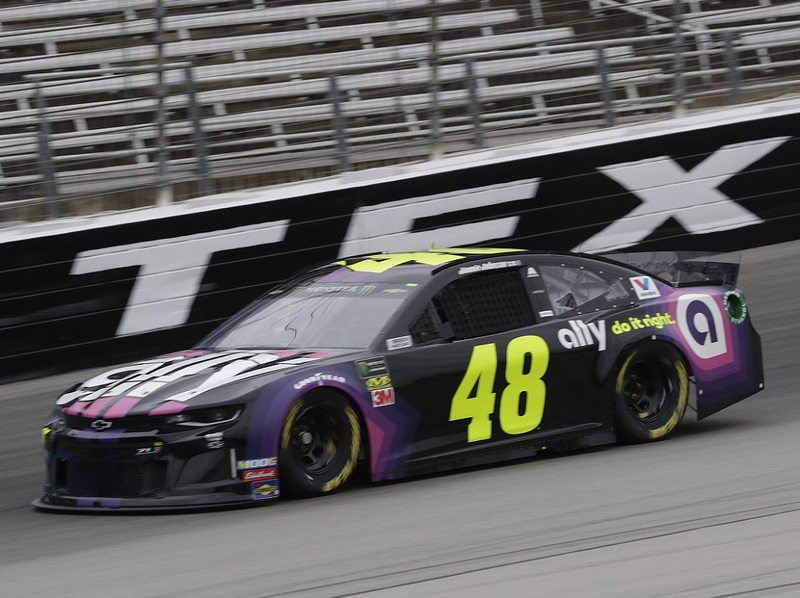 Hendrick Motorsports silenced the critics last weekend – at least temporarily -- placing two cars in the Top-6 in Sunday’s O'Reilly Auto Parts 500 at Texas Motor Speedway. 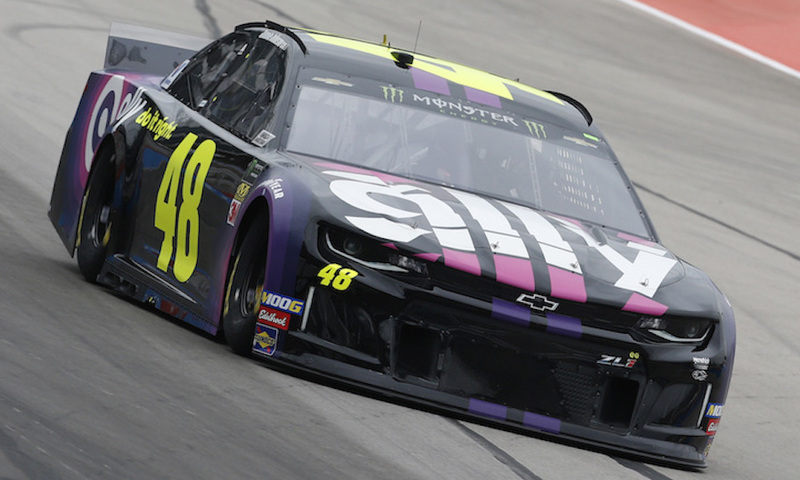 Jimmie Johnson finished fifth Sunday, with teammate William Byron close behind in sixth, with Chase Elliott 13th and Alex Bowman 18th. Just one week after a demoralizing 24th-place finish at Martinsville Speedway, Johnson led the Hendrick charge in the Lone Star State. He and his Kevin Meendering-led team were fastest in Friday’s lone practice session, then topped the speed charts in all three rounds of qualifying en route to Johnson’s first pole since July 17, 2016 at New Hampshire Motor Speedway. Teammate William Byron qualified second, with Elliott third and Bowman 24th. Johnson led 60 laps Sunday – more than he led in the entire 2018 season – while Elliott and Byron paced the field for 35 and 15 laps, respectively. That’s encouraging for an organization that finished ninth, 11th, 16th and 19th (leading just 21 laps) in the circuit’s last 1.5-mile outing at Las Vegas Motor Speedway, just three weeks earlier. ...and finished fifth Sunday in Texas. “I am so proud of everybody on this Ally team,” said Johnson after the race. “We’ve had a lot of pressure on us, and everyone has stepped up and gotten it done. Sunday was not without its challenges for the HMS fleet. Byron overcame a pit-road miscue en route to his sixth-place, while Elliott looked like a contender early before experiencing challenges of his own in the later going. But in the end, Sunday provided a high-water mark for an organization that was badly in need of some good news. All parties acknowledge that there is still plenty of work to do before HMS returns to its customary position at the top of the MENCS standings. Johnson has not been to Victory Lane since the AAA 400 Drive For Autism at Dover on June 4, 2017; a span of 65 races. Elliott still lacks the consistency to challenge for checkered flags on a weekly basis, while Byron and Bowman continue to learn the race craft necessary to become frontrunners at NASCAR’s highest level. But for now, all four drivers have a week to revel in their “consistent weekend,” while the men and women back at the shop attempt to build on it for the future. For Jimmie Johnson, Martinsville Speedway has traditionally been the Land of Milk and Honey. The Hendrick Motorsports driver leads all active drivers with nine career victories at the historic Virginia half-mile, and has been a dominant force there for as long as most fans can remember. 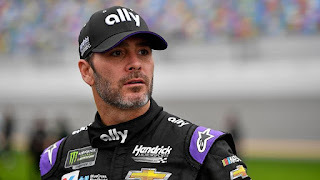 Sunday, however, the seven-time Monster Energy NASCAR Cup Series champion was a non-factor from start to finish, lapped three times under green-flag conditions before claiming a troubling, 24th-place finish. Johnson and his Kevin Meendering-led team gave cause for optimism earlier in the weekend, pacing an early practice round. But that fast lap came during a mock qualifying run – when most teams were already in race mode – skewing the speed charts in favor of the No. 48 Chevrolet. Johnson qualified only 12th-best Saturday, and when the green flag flew in Sunday’s STP 500, he and the No. 48 Ally Chevrolet began a slow and steady fade to the back of the pack. Johnson was lapped by leader Brad Keselowski in the race’s second stage, and lost two more circuits in the final round. He regained one of those lost circuits by taking a wave around in the late going, but no amount of pit-road gerrymandering could overcome a shockingly ill-handling race car. Johnson spent the final 200 laps being passed by cars he has never raced before, and an average 2019 finish of 16.8 is cause for genuine concern. His 24th-place finish extended a Martinsville slump that has seen him finish outside the Top-10 in eight of his last 10 starts. By comparison, the California native had just three finishes worse than 10th in 25 previous Martinsville races. He has not claimed a Martinsville Speedway grandfather clock since the fall of 2016, and has not finished better than 12th at the Virginia short track since then. Johnson’s struggles have not been confined to Martinsville, either. For Johnson, the drought continues. He has not won a MENCS race since the AAA 400 Drive For Autism at Dover on June 4, 12017; a span of 65 consecutive races. Some of that drought rightfully lies at the feet of a new Chevrolet Camaro that has not rolled out as competitively as expected, and Hendrick Motorsports has also struggled to overcome the recent retirements of Jeff Gordon and Dale Earnhardt, Jr., as well as the departure of veteran Kasey Kahne at the end of the 2017 campaign. Chase Elliott’s runner-up showing Sunday was Hendrick’s first Top-5 finish since Kansas last October; a span of 10 races. And while HMS is clearly struggling to regain its championship form, Team Jimmie has lagged behind both its Hendrick and Chevrolet brethren. Alex Bowman spent considerable time in the Top-10 Sunday, before settling for 14th at the drop of the checkered flag. Chevy pilots Austin Dillon, Kurt Busch and Ty Dillon all ran in the Top-10 as well, before finishing 11th, 12th and 13th respectively. Johnson left the Old Dominion 15th in the championship standings, and his performance at a track he has traditionally dominated will do little to calm a justifiably jittery fan base. Just three weeks ago, Johnson spoke optimistically after an eighth-place finish at ISM Raceway in Phoenix, saying, “We showed that if we have a mistake-free race, we can run in the Top-5 and Top-10. (With) how last year went, that’s a step in the right direction. 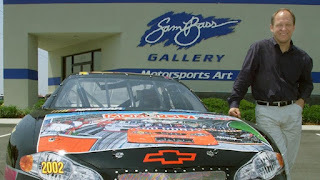 Johnson also spoke candidly about the recent evolution of the sport and how things have changed since he first joined Hendrick Motorsports in 2001. “I showed-up at Hendrick with cars and set-ups that just did everything you wanted them to,” he recalled. “Rules packages have changed quite a bit since then and we’ve lost our advantage. When I look at our problems in the last couple of years… aero is a big piece of it. Times change. We’ve got to re-think things and re-build things. These are trying times for fans of the seven-time NASCAR champion, with no assurance that things will get better soon, or ever. At age 43, Johnson faces inevitable questions about whether his skill set has begun to diminish, and while he is unquestionably in the best physical condition of his career, there is more to racing than aerobic fitness and a low body fat percentage. Father Time is undefeated, and Johnson fans can only hope that all those Martinsville grandfather clocks are not preparing to chime the stroke of midnight. The Monster Energy NASCAR Cup Series tripped over its own shoelaces again Friday, with a qualifying fiasco straight out of the Keystone Kops. In a misguided attempt to avoid going onto the racetrack first and allowing other cars to draft off their back bumper, all 12 final-round competitors sat idling on pit road, until it was too late. All 12 competitors failed to begin their decisive Round Three time-trial effort until after the qualifying clock ran out and the red and black flags had signaled an end to the session. It was a baffling, inexplicable turn of events; one that left the ACS grandstands howling in anger. And it was no mistake. It was a world class game of Chicken; a senseless pecker-measuring contest that ultimately produced only one backhanded winner (Austin Dillon) and millions of losers. Fans in attendance at ACS – and likely those viewing at home — booed their lungs out in frustration. Frustration with the drivers, frustration with the teams and frustration with the sanctioning body. That frustration was entirely justified, and all three entities deserve a share of the blame. NASCAR probably should have seen Friday’s qualifying chicanery coming. It has loomed like a dark cloud on the horizon for the last three weeks, as teams gradually became more brazen in their attempts to manipulate and massage the system to their own benefit. A number of drivers predicted exactly what happened, before the green flag ever flew. But somehow, NASCAR was caught with its collective pants down, having failed to anticipate any sort of on-track bamboozlement. 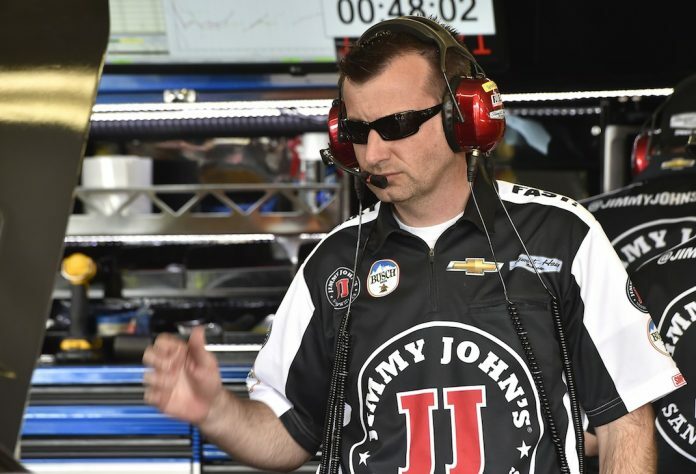 As a result, the sanctioning body frequently finds itself playing defense at times like this, reacting to the whims of the garage area, instead of being proactive. They modify rules in the aftermath of a disaster, rather than anticipating the disaster and preventing it before it occurs. Racers are mercenaries. They often care less about what’s good for the sport than what’s good for them. They will cut their mother’s throat for a $100 trophy and 45 championship points, and have no qualms about delivering a farcical qualifying session to their fans, rather than risking a 12th-place start in Sunday’s race. There is nothing wrong with being a mercenary. In the end, we all look out for number one, and it should come as no surprise that NASCAR drivers and teams think of themselves first and the fans later, if at all. Team owners are the same way. With a slate of multi-million dollar sponsors to appease, they’ll do whatever it takes to keep their organization at the front of the pack. They’ll spend $500,000 to save 5/1,000 of a second on pit road, then complain pitifully about the skyrocketing cost of competition. It’s understandable, and absolutely predictable. The Drivers Council cares about what’s best for drivers, and the Race Team Alliance cares about what’s best for teams. They may occasionally do things that are in the overall best interest of the sport, but only when those things positively impact their own bottom line. Friday afternoon proved — once again — that NASCAR’s “let’s all pull together” attitude is not working, and never will. What happened Friday at Auto Club Speedway was a slap in the face to NASCAR’s already dwindling fan base; a shameful, inexcusable insult to anyone who spent the money or time necessary to witness a sham of a program that never should have happened. Now, NASCAR is once again forced to react. Preliminary indications are that they will once again modify the qualifying format, in an attempt to prevent racers from harming themselves and others. It’s the motorsports equivalent of imposing a new, later curfew on your child, after they refuse to obey the previous one. Yet another procedural tweak, as the sanctioning body hopes against hope that its teams will do the right thing, rather than demanding it. NASCAR’s new 2019 Rules Package is now three races old, with plenty of opinion on both sides of the aisle. Fan reaction has – as usual – been all over the road, with some hailing the on-track results at Atlanta, Las Vegas and ISM Raceways as a positive improvement over past seasons. Others have been critical of the package, characterizing the competition as marginally better, if at all. Fan reaction is predictably unpredictable, since no one in the grandstands (or at home in the Barcalounger) has actually driven the race cars they’re commenting on. However, the Monster Energy NASCAR Cup Series garage seems equally divided, with some drivers complimenting the new package while others administer tar and feathers. “I thought there was a lot of side-by-side,” said Logano after winning at Las Vegas Motor Speedway two weeks ago. “It was very intense. My heart rate was going as high as it has ever been, because there’s so many other things you have to think about now, because the cars are closer. The Joe Gibbs Racing driver told the media that NASCAR had "taken the driver skill away from the drivers in this package.” Newman echoed those comments, effectively saying that the cars are now so easy to handle that NASCAR could pull fans from the grandstands to drive them. In addition to being patently untrue, overhyped “anyone can do it” statements like those uttered by Busch and Newman do the sport a huge disservice. One of the main selling points of NASCAR since its birth in 1949 has been – as Ken Squier so aptly stated nearly half a century ago – “Common men performing uncommon deeds.” Comments like those made by Newman and Busch turn that statement on its head. Now, we are suddenly supposed to believe that NASCAR is nothing more than “common men performing common deeds;” all due to one simple rule change. Does anyone truly believe that the average Joe Sixpack could wheel a Monster Energy NASCAR Cup Series car at speeds above 180 mph, inches away from a pack of 37 other automobiles? Horse hockey. You know it, I know it… and Busch and Newman know it, too. I cannot drive a speeding MENCS car in heavy lapped traffic, any more than I can throw a Tom Brady-esque 65-yard spiral through double coverage onto the fingertips of a sprinting wide receiver. No more than I can wallop a Justin Verlander fastball 400 feet into the upper deck at Yankee Stadium. No more than I can snipe a top-corner slap shot past Carey Price in Game Seven of the Stanley Cup finals. None of those things are ever going to happen, no matter how insistent some of today’s top drivers may be to the contrary. Mowing the lawn is not a spectator sport, because anyone can do it. Taking a bath is not a spectator sport, because anyone can do it. Why should anyone buy a ticket – or devote three hours of their valuable Sunday afternoon – to watch a group of people do something that they (apparently) can simply do themselves? NASCAR drivers have traditionally been poor spokespersons for their sport. If they owned an Italian restaurant, some NASCAR wheelmen would place an ad in the local newspaper stating “WORST LASAGNA IN TOWN! LOUSY DECORE, SHODDY SERVICE AND EXHORBITANT PRICING,” then wonder why nobody shows up for dinner. Last week’s grousing was simply the latest example. It’s understandable, I guess. After all, racers have been raised on speed, virtually from the womb. Going fast is all they care about; to the point where many of them would rather put on a lousy race at high speed than a great race, only slower. In addition, Newman’s comments came just moments after a frustrating, 24th-place finish. A guy's bound to be a little crabby after a day like that. Busch, meanwhile, made his remarks after a pit road speeding penalty cost him a shot at Victory Lane, relegating him to third place on the podium. 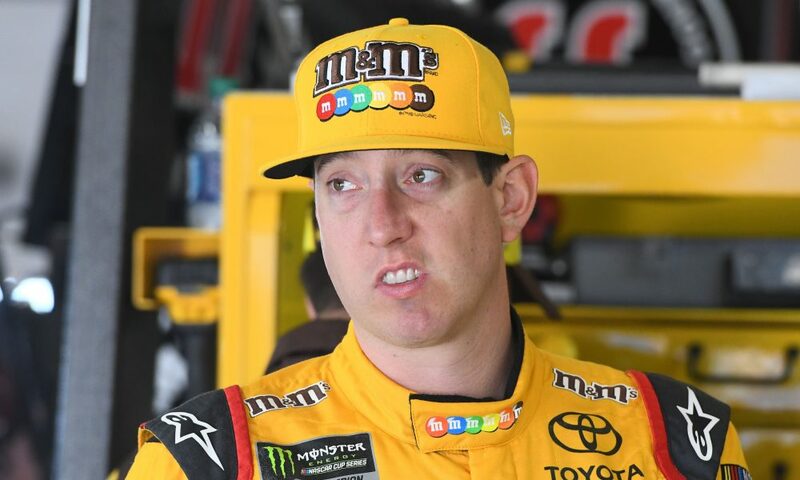 We all know how Kyle feels about finishing third, don't we? Car out to lunch? Made a critical mistake that cost your team a possible win? Blame the rules. It’s much easier than facing up to your own shortcomings, or giving a brand new technical package enough time to prove itself, for better or worse. Newman and Busch are absolutely entitled to their opinions. And eventually, NASCAR’s new rules package may indeed prove to be as flawed as they say. But when virtually every driver and crew chief on pit road says they have a lot of learning to do before the new technical specs can be fairly judged, comments like “anyone can do it” are premature at best and irresponsible at worst. 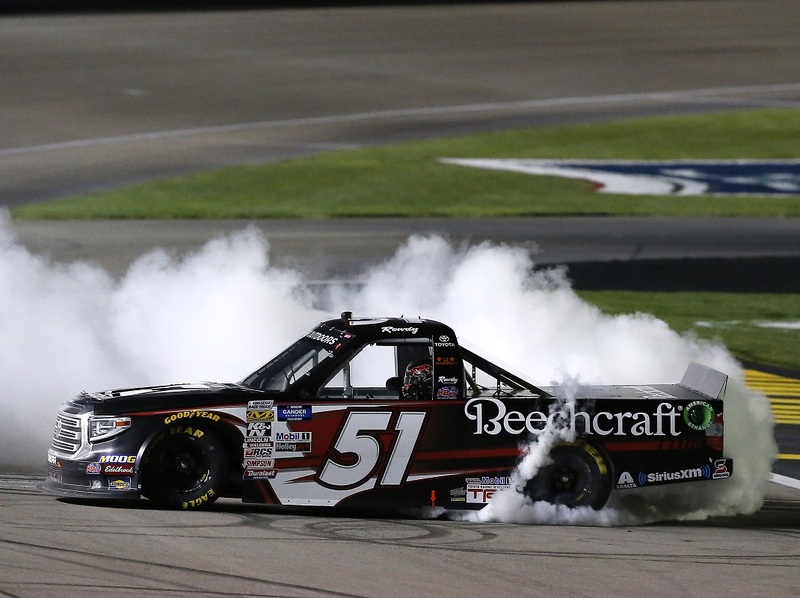 In just the third week of the 2019 NASCAR season, Kyle Busch appears to be in midseason form. The Joe Gibbs Racing driver is off to a scalding start in all three NASCAR National Series. 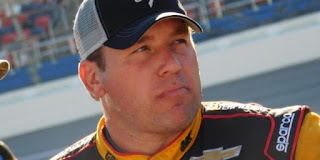 Two weeks ago he supplanted Hall of Famer Ron Hornaday, Jr. as the all-time winningest driver in NASCAR Gander Outdoors Truck Series history, claiming his Motor Speedway. He already held the career-wins mark in the Xfinity Series, where he has collected a total of 92 checkered flags. 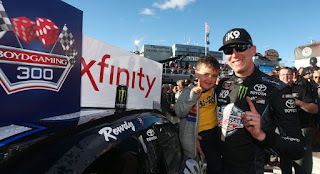 Busch swept the opening two events of last weekend’s tripleheader in Las Vegas, and only an early pit road speeding penalty in Sunday’s Pennzoil 400 cost him a shot at a weekend sweep; relegating him to third behind Team Penske stablemates Joey Logano and Brad Keselowski. Busch’s third-place finish Sunday in Las Vegas followed a runner-up showing in the season-opening Daytona 500 and a sixth at Atlanta Motor Speedway; for an early season average finish of 3.7. He is the only driver to record Top-10 finishes in all three starts this season, and ranks fourth in points earned, trailing only Joey Logano, Kevin Harvick and Denny Hamlin. Numbers like that will keep a guy gainfully employed in the NASCAR garage for as long as he likes, and last Thursday, Busch announced that he had signed a contract extension with Joe Gibbs Racing and longtime sponsor Mars Inc., to continue their combined assault on the NASCAR record books. “My relationship with Joe, JD and the (Gibbs) family has grown a lot of the years,” said Busch last week. “And each year, I think it gets better and better. Being a driver with them since 2008 has meant the most to my career. “It’s all about relationships,” he added, “and I feel like the relationship with M&M’s has continued to get better and grown over the years, as well as with Toyota. I have a lot of friendships there. Busch and Petty: Same, but different. 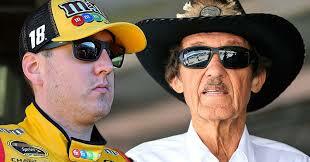 Busch’s 197 NASCAR National Series wins leave him just three behind the legendary Richard Petty on the all-time list. The mere mention of that impending achievement inspires heated – even venomous – water cooler debate across NASCAR Nation, and at this rate, it’s only a matter of time before NASCAR’s most polarizing driver equals – and then surpasses – the King’s 200-win total. For what it’s worth, Busch concurs, saying that his pursuit is not of Petty, but of the second and third men on the Cup win list. Comparing Petty’s 200 premier series victories to Busch’s combined Truck-Xfinity-Cup total is like comparing apples to watermelons. But the Las Vegas native is just this close to doing something that only one other person in the history of the sport has ever done. That alone seems worth of notice and respect.